The plugin lets you add unlimited Google ad units, But you should be careful, So the plugin helps you to detect the spam ads. 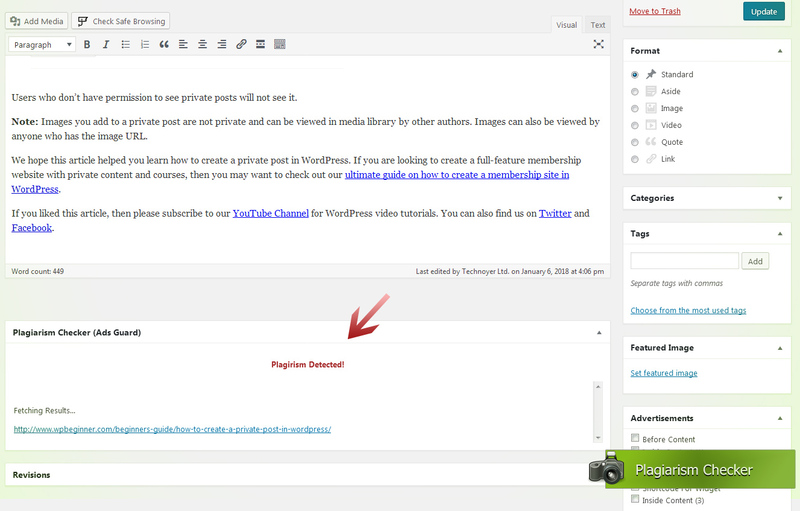 Easily you can edit and/or delete the existing ad units. 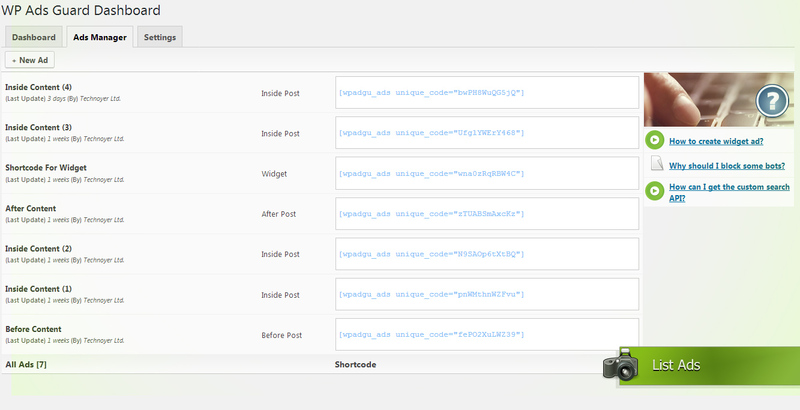 Every ad unit has shortcode, you can easily insert this shortcode into any content. If you need to block some countries from viewing your ads for any reasons, for example, invalid activity comes from that country or lower CPC which come from that country. Automatically inserts ads in posts and pages Easily enable or disable some ads while (for example) you are running your A/B testing. 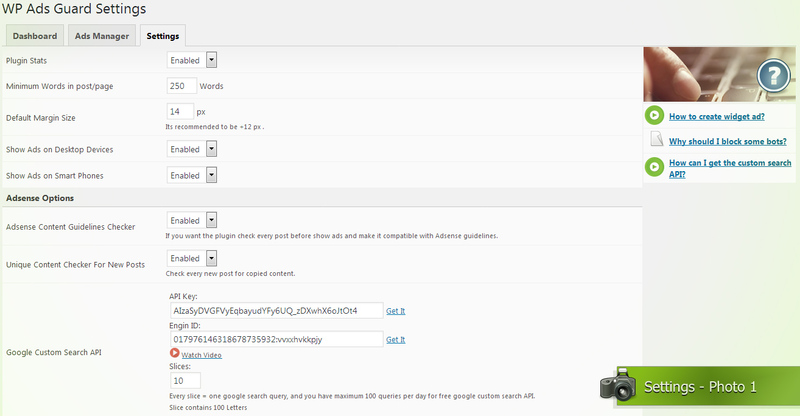 Content size is under control, you will be able to set the minimum words counter before showing your ads. Just one click to enable/disable ads on desktop and/or smart phones. 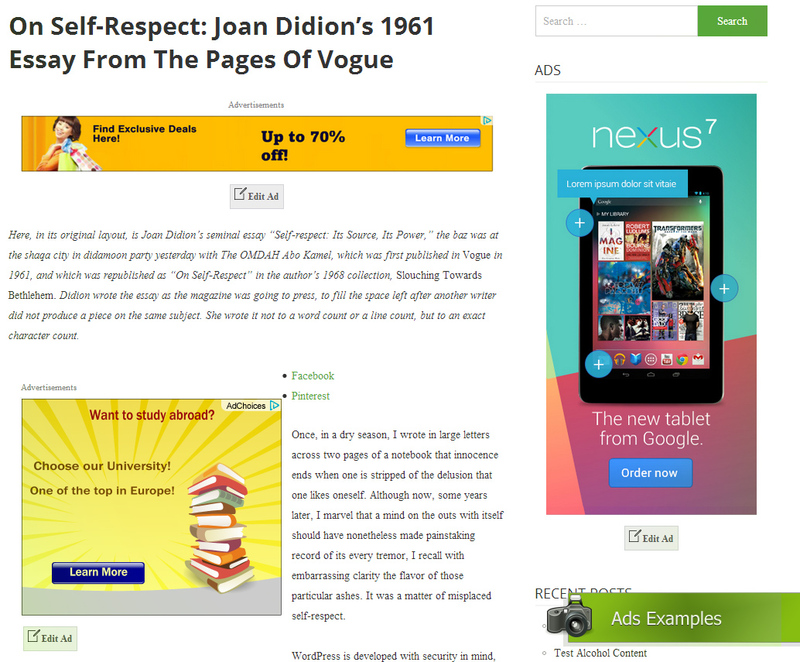 Enable or Disable some ads for some posts and / or pages, This option is available for every single post and page severally. 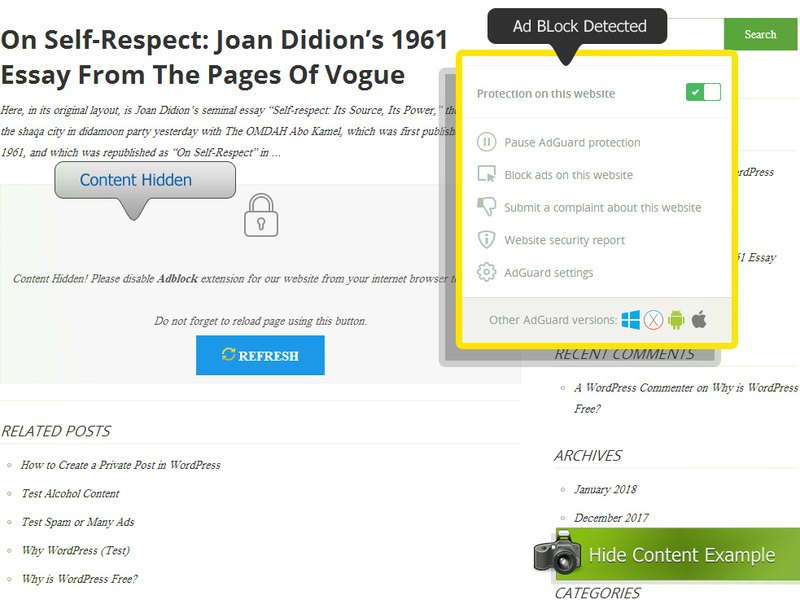 For perfectly content for Google Adsense, You should be sure that your content is unique, So we have added this tool to the plugin to help you to detect the copied content before showing ads. 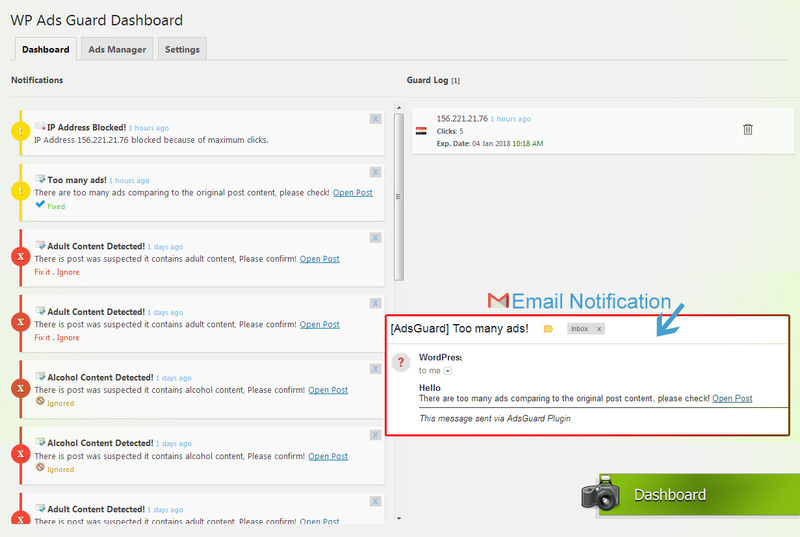 Yes, No limits for Google Adsense ad units per page, But we should be careful, So the plugin detects the too many ads compared to the original post content, then send notification to you, You can fix this issue or ignore it. Automatic check in order to detect any illegal content, for example: alcohol content, adult content, software cracks content, weapons (sell/buy) content, hackers content and encourage to click content, Then plugin send notification to you to fix this or ignore it. The plugin detects the visitor clicks on ads through safety way, If the visitor click (n) clicks within (n) period, Ads will disappear, The maximum clicks and time available to edit in the plugin settings. When you notice more invalid clicks or invalid activity come from some country, you will be able to block this country, If the country block, The ads will disappear. Some crawlers, or bots while it visit your pages, it tries to open the Google Adsense link or Google Adsense iframe (which contains ads), So sometime these bots (crawler) cause invalid clicks which affect directly your monthly earnings, The plugin lets you to block these bots (crawler) from viewing ads (Not all the page content), If those bots blocked, The ads will disappear (Note: No danger on SEO). 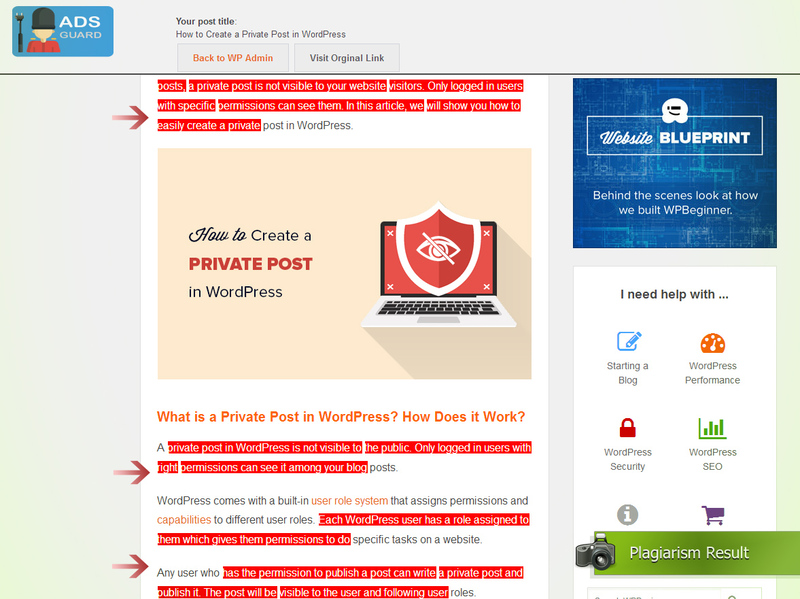 If the plugin detects Adblock was installed in the visitor’s browser, You have the option to hide the post or page content until the visitor disable Adblock extension for your website. 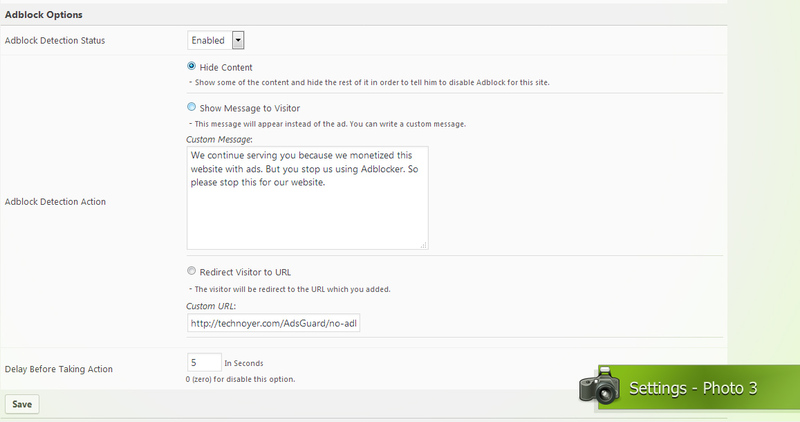 There is another option instead of hiding the content, You can set it to showing a popup message if the plugin detects ad blocker. Not only hide content and popup message, Here is another choice to take action when the visitor has blocked your ad, The plugin lets you redirect that visitor which has an active ad blocker on your website. Insert before or after post and page content. Insert before or after post and page title. Insert inside post and page content. 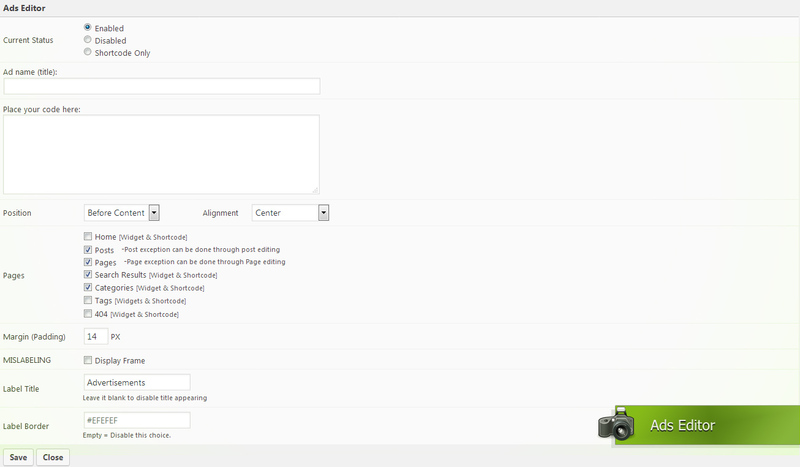 Insert in footer (before tag).